Editor’s note: This is an update from one of our regular writers about the worsening security situation south of Kabul. For her safety, we run this anonymously. You say you want to help me, but I tell you you cannot help me. I come to Kabul to use the Internet, but my family doesn’t like me to come to Kabul. I would love to go to college but my family doesn’t agree. Thank you dear writer for telling us how bad it is. we believe you. and there are people who will keep trying to help. The important thing is to get the information out. you have done that. Thank you for writing and telling others through your beautiful writing. My hopes and prayers are with you. I know I can’t help. Even writing is difficult, but I would like to tell you that your words are here. I’m thousands of miles far from you, but your words are here, by my side. I’m sure your voice is strong, stronger than their blindness. Keep on writing. Thanks for your reporting and for your courage. Thank you and all the women like you, whom have the courage to write this lines. It’s important to let your voice known outside Afghanistan. I’m so sorry in reading this blog, I can’t do much to help, but I can pray for you and all the Afghan sisters, who have the right to a true life. I´m full of sorrow when a read things like this, I hope someday things will change in your country and the people get finally their freedom to learn in a free schooll and the joy of living come back to the streets. In the films the heroes are ussually strong men whit guns in their hands, What a stupid thing! Your strength sow us the reality. Feel my support in the distance. Un abrazo desde muy lejos, desde otra cultura, otro idioma, desde una isla de Caribe. Con todo el amor y las bendiciones. Afganistán tendrá paz, y sus mujeres, igualdad. Ojalá decimos en Cuba cuando se quiere algo. Que Alah quiera la felicidad tuya. La humanidad nos une, somos una sola familia sobre la tierra. so sad. and i feel the impotence of not being able to help you. thanks so much for your story and courage! Thank you for having the courage to make your voice heard. Please don’t give up! You are very brave. And what you do is important so the world will know what is really going on. Thanks you for shareing. Know that you are being heard. You and all women deserve more. How can this stop? Thank you for telling us the truth – it is important that we hear from you and know what is going on. We hear you, we are listening. Our hearts are breaking with yours. Sending love and strength. Il suo impegno di lotta contro l’analfabetismo delle donne, primo vero e terribile sopruso commesso da una società che all’alba del Terzo Millennio si scopre ancora maschilista, è una delle denunce delle orribili realtà della vita di questo pianeta e della crudeltà che una società ignorante riversa ancora contro le donne. Il suo impegno è immensamente lodevole perché non solo insegna alle donne di ogni latitudine il valore della libertà della comunicazione e della sua diretta conseguenza, la conoscenza, ma offre anche, a tutti coloro i quali hanno capacità di indignazione, strumenti per capire, condividere e reagire. go on, don’t give up, our hearts are with you. I ask and request from all women, all who read your message to help Afghan women and help you. it is not easy to have your voice, not easy to write it, I admire your courage. 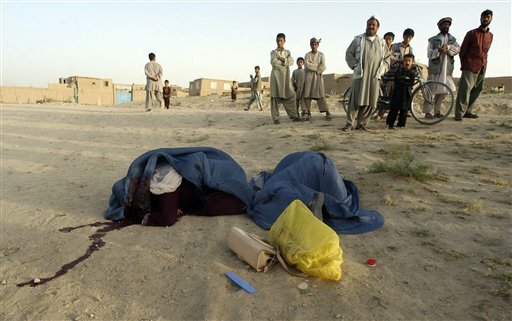 All the reader: Please help Afghan women, Please help them have the life they deserve. My heart is with you. It´s all I can send. Thankyou for needing to share. If enough human hearts read you and then feel with you, maybe, just maybe, you will find a way. Thankyou for your bravery and your words. You are so brave. I wish we could help you. Cultivate your inner strength and writing skills and know that women on the other side of the world are hearing your story and care about you. My heart breaks knowing that this is just one voice speaking for many. Your writing leaves me stunned – so much told in such a short span. I cannot help you, but I can hear you. You are braver than all of the men with guns and beards. I admire your courage and your strength, and send wishes for you to find peace and joy somewhere in the smallest of things. If I could, i would send you hope on the wings of a bird, or the light of the moon or even a single star. I cannot imagine how your life is, but thank you for your courage to let the world know. You and your family are sent love from Australia – from me and all my friends. We are horrified and helpless. I cannot imagine the pain that you are going through right now with the loss of a relative, but remain strong, and confident that your excel in education and desire to fight back is going to earn you the rights you deserve. Many organizations are helping, although the progress may seem slow, but I am sure every one alongside with you is working day and night to save you, and let you see the world. The pain that you are experiencing is immense, I am not brave enough myself to go out of my family’s way to do something that they don’t agree on, but you are one brave woman, you are proud and satisfied with your actions, and I encourage you to continue the pursuit in peace and freedom. You cannot compare yourself to a cow, you are a human being, and will be treated as a human anywhere you go, and you will succeed in your findings, and you will discover a whole new world with peace and love surrounding you! Don’t give up on your college dream, as that will get you far, and you will be the one that stands out the most in the crowd! Thank you for sharing your story, and your bravery will not be in vain. Thank you for helping us to get a glimpse of what life is like for you. I hope for your safelty and for peace. Your bravery is so admirable.